As a country we’re always bemoaning the fact that children these days would rather be sat inside playing video games or on social media than enjoying the great outdoors. But do we really provide adequate outdoor space for children to enjoy? As we’re in the midst of trying to tackle a childhood obesity crisis, with supermarkets even taking sugary drinks of their shelves, it’s never been more important for us to provide suitable and safe outdoor space for children to play. Schools are one of the most important places for children to stay active. Physical education as well as break and lunch times are when children get the chance to exercise and the Department of Education continues to push for constantly accessible, engaging and safe outdoor facilities to be used in all weather circumstances. Artificial grass is a great way to do this if your institution lacks facilities or natural areas for children to enjoy. Our artificial grass has been used by many schools, nurseries and private education providers with great success. We are proud supporters of the Play England Campaign and we offer a robust discount system for the education sector as part of our commitment to encourage child play and development outdoors. 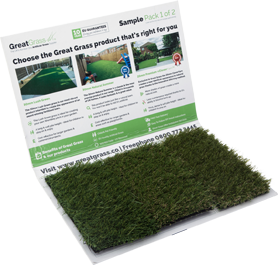 Contact us today for more information on how artificial grass can improve your institution.